Hi guys! Thanks so much for all your wonderful comments on my post last week! I always appreciate you taking the time to leave me a message, so I just wanted to mention that real quick. Thank you! I've got a couple of swatches for you this week. I recently took a trip just over the border to stock up on German goodies again, so I've got a couple of new polishes to show you! Today it's 2 P2 textures, because you know I can't resist them! So every time I hop over to Germany P2 seems to have released new texture polishes and this trip was no exception. I only picked up a couple though, because my texture collection is getting quite big and I don't want to buy dupes. The first one I got is called Black Sand (boooriiiing) and is a black texture with tiny silver sparkles. It looks insanely shiny, almost wet in my pictures, but it was a bit more matte in real life. The silver sparkle isn't that obvious but it gives the polish just a little bit extra. Shown here is 2 coats, but if you are careful you might get away with one! I also love how the bottle cap matches the polish. 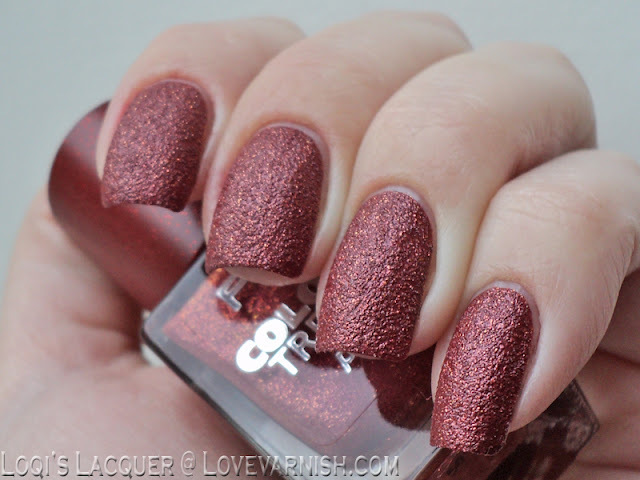 The second polish is called Marsala sand (boooriiiing) and is.. well a marsala colored texture. This one has gold instead of silver sparkles and also has the cute matching bottle cap. And since marsala is still color of the year for 2 months, this polish is perfect for fall! This is 2 coats again, but 1 might suffice if you are careful when applying. 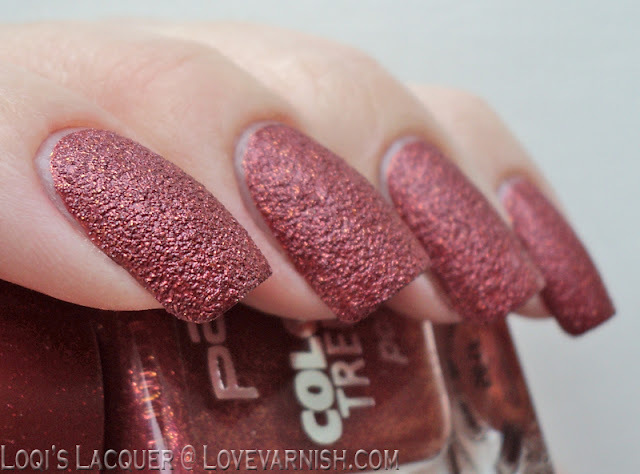 I also tried wearing this polish with topcoat, because it looks gorgeous when wet, but it so very textured that I needed too much topcoat to make it smooth and the end result was a gorgeous color but very thick nail. I hope you guys like it! Please let me know in the comments if you enjoy these kinds of swatches from other drugstore brands, and see you next week!